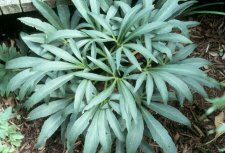 We have been growing most Helleborus species for years. 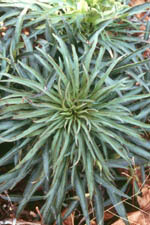 They are virtually problem-free, evergreen, and will bloom over several months in late Winter and early Spring. 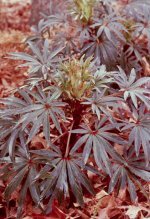 They prefer rich, moist soil with good drainage, part to full shade and most can be grown in virtually every state in the United States. 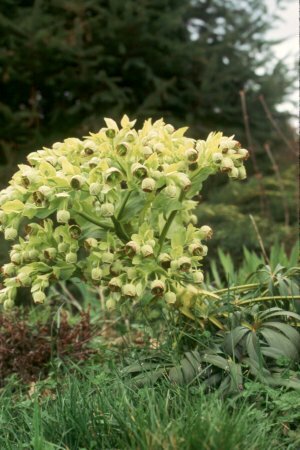 Helleborus argutifolius -- The "Corsican Hellebore" hails from the Island of Corsica. 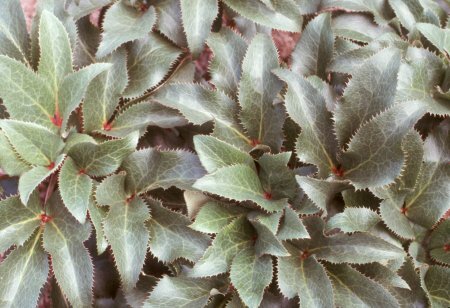 The rich green, slightly marbled foliage is ruggedly toothed an can be sharp to the touch on mature leaves. It is fully hardy to zone 5 and long-lived. Its preference is for a sunny location with decent drainage. Plants can get up to 24" tall and about the same spread. Helleborus foetidus -- I probably shouldn't even mention that the common name for this plant is "The Stinking Hellebore", that's a completely false statement! 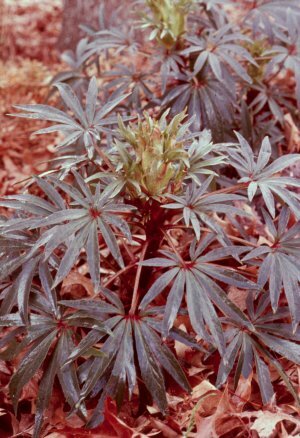 Although shorter-lived than most of the other Hellebores, it will joyfully seed itself around the garden to be with you eternally. Plants can reach up to almost 36" in flower during late Winter, early Spring. The green, pendulous, cupped flowers last for weeks at a time when there is little else going on about the garden. 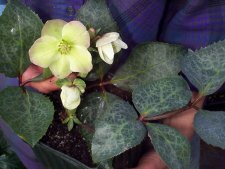 Helleborus foetidus 'Frenchy' -- Here is our latest introduction in our Helleborus foetidus series. 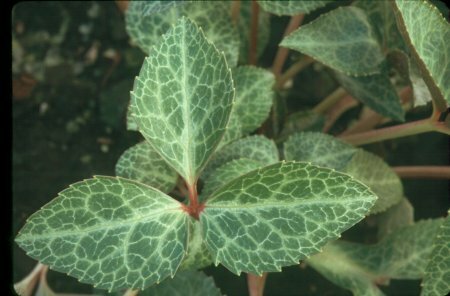 Helleborus foetidus 'Frenchy' was discovered by a friend of mine on a seed collecting expedition in the French Alps, this strain of the infinitely variable Helleborus foetidus has delicate, lacy, silvery foliage with red tinges and interesting red veining on the floral sheaths. See the gallery for more photos. Helleborus foetidus 'Sopron' -- A selection of the above species made by famous Hellebore explorer, Will Mclewin of Manchester England. Selected from a population in Sopron Hungary for its attractive metallic foliage and more open rather than cupped flowers. A huge plant! Helleborus foetidus 'Miss Jeykll' -- Another strain of the species that has huge rounded flower heads with copious amounts of flowers. Helleborus foetidus 'Marlene' -- Yet another selection of Helleborus foetidus that was selected here at Sunshine Farm and Gardens. This selection has extremely delicate, lacy foliage and virtually no dentation on the leaf blades. 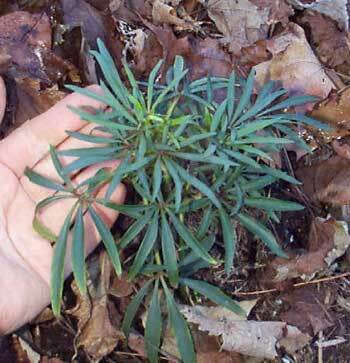 The foliage is very diminutive and I've included another photo with my hand in the picture for a relative comparison. It's probably the most graceful selection that I've seen. It's named in honor of Marlene Ahlburg of Germany as it originated in a batch of seeds that she sent to me. Helleborus foetidus 'Silvertooth' -- A spontaneous selection that has arisen here in the garden. 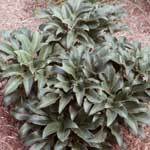 Very dramatic silvery leaves with exaggerated dentation on the leaf margins. Large size and stature and really catches everyone's attention as being quite unique. Helleborus foetidus 'Wester Flisk' -- And finally, the most famous of all the named Helleborus foetidus cultivars, what a dynamite contrast of a deep brick red stem and the lightest lime green petioles and leaves. 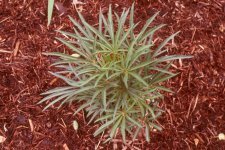 Size and stature vary with seedlings, but this plant draws you in and blows your mind. Helleborus niger -- The "Christmas Rose" is probably the worlds most famous Hellebore. The common name is derived from the fact that it flowers somewhat reliably around the Christmas Holiday Season. Huge (I've one plant that has 5.5 " flowers) pure white blooms fade into a lovely pinkish hue as they are pollinated. 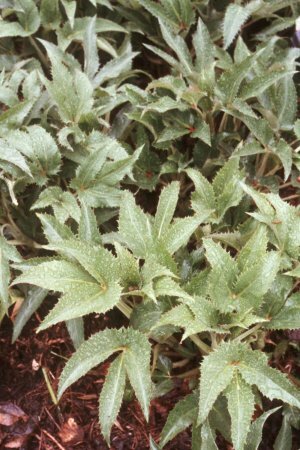 Very easy to grow in the shady border. 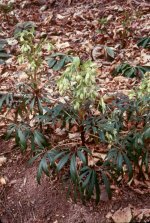 Helleborus x sternii -- To understand the origin of this interspecific cross, you need to know about the two species involved,H. argutifolius and H. lividus. In 1939 Dr. Frederick Stern of the UK crossed the two species and came up with a plant as hardy as H. argutifolius, but with some of the neat marbling of H. lividus. Different clones have varying portions of each of the two species. 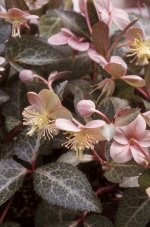 Helleborus x sternii 'Boughton Beauty' -- A strain of x sternii named by Valerie Finnis in the UK and having greyish, strongly-veined foliage, pinkish stems and pink undersides of the leaves. Many plant varieties are traveling around under this name. Our original clone came from Western Hills Nursery in California. 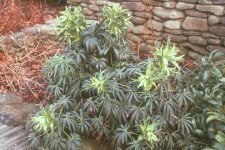 Helleborus 'Sunmarble' -- Our best selection of an interspecific cross between Helleborus x sternii, itself a cross between H. lividus and H. argutifolius, and H. niger. Formerly known as H. x nigristern, this hybrid of hybrids is now known as H. ericsmithii. 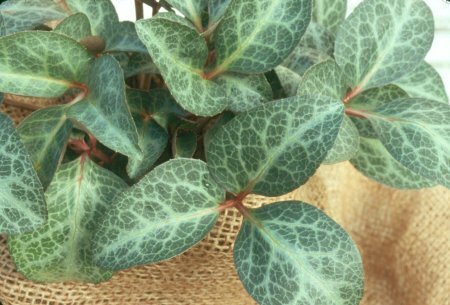 Incredible marbling on the huge leathery foliage is evergreen and the 3"-5" white flowers are sterile and last for months. The beauty of H. lividus with the hardiness of H. niger, what more could you ask for?